The Playhouse Company, an agency of the Department of Arts and Culture, is hosting its 2018 Community Arts Festival (CAF) in Durban’s Playhouse Loft Theatre. This runs between October 5 and 22, 2018. Admission is free to all CAF events. This powerful allegorical tale, seen through the journey of Boy Nkathazo to find his true identity, upholds the traditional values of the spirit of Ubuntu, that unifying identity shared by African people, now in danger of being lost. Umbali Shozi, an orphan entrusted into the care of her stepmother, has to endure the cruel discrimination and ill-treatment meted out against her in this moving, community-based story, an Ithuba Labasha project. In this Amanguni Productions coming of age drama, Zandile and Mthoko, two youthful lovebirds, pursue dancing careers while facing external challenges that might interfere with their attaining success. 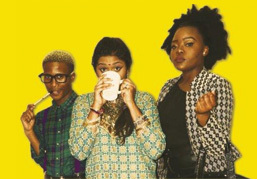 Saranya Devan’s drama delves into the tribulations of identity crisis, pulling off the masks that hide Muniamma, the Indian, Nkosinathi, the Zulu, and Yvonne, the in-between persona. This Emuhle All Artist production focuses on an ex-convict who has just come out of correctional services. Lying in wait for him from home are his previous deeds – his bygones. This drama directed by Amanda Forbay probes the troubled state of affairs that beset global society at large, suggesting we interrogate the forces and ethics that govern humanity through the running of democracies the world over. This Edgy Drama Mix five-hander shows how different the live we live now is, compared to the vision our fallen heroes fought for, suggesting we have mistaken freedom for slavery and shame. A powerful and informative story told through narration, dance, and music, and focusing on a poor rural woman who is forced at an early age into an arranged marriage. Despite the hardships of unemployment, of falling pregnant, and losing both child and husband, she still strives to become a successful and respected woman in the village. Co-written and workshopped by Neil Coppen with Umsindo Theatre Projects, this is a tale of five girls working in a quarry, breaking bricks. Taken from their homes into human trafficking, their different stories the same objective in common. Produced by Mzansi Arts Development, this drama addresses issues of racism which emanate from unfavourable working conditions for farm workers. This Bhakti Theatre musical production focuses on the Princess Draupadi, an historic figure derived from India’s ancient epic, The Mahabharata. Born from fire, she was the most beautiful woman of her era, prophesied to be the destruction of billions of warriors. An archery challenge was set so that a warrior might win her hand in marriage. 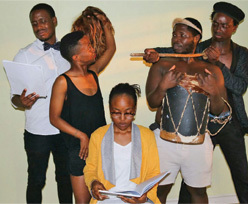 This Umlazi Acting Lab production depicts four men trapped by their past. They are introduced to Umagejageja, a mythical creature who is an elite healer and spiritual revivalist – without noticing that he is a spirit that lives within them all. This morality tale, devised as a one-man performance using minimal props, expounds the necessity of managing one’s material resources wisely. The Illuminati rule an apocalyptic universe in which Christianity is banned, following the last word war, which was incited by religion. In this gripping drama from 3 KZN Talents, Emily and her daughter Lisa stand up against the brutal domestic abuse they have long endured at the hands of Nelson, Emily’s sadist of a husband. 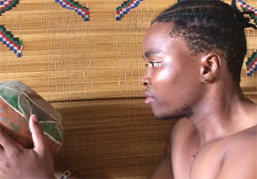 Nomaliso, a brave young woman, is prohibited by the traditional custom known as ‘Ukhuthwala Intombi’ from marrying the man she loves. Her parents seek to force her into an arranged marriage so they can gain money. Directed by Bonginkosi Shangase, this tale, told through music, drama and dance, encourages women to stand up for their rights. In this apartheid retrospective, Sanele Maphumulo’s moving dance drama looks at the life of a young man who has been raised by his grandmother, before he sets out for the big city to find his own identity by finding his father, an MK soldier absent throughout his childhood. Siwela Sonke’s dance piece unravels a complicated plot in which the younger generation of a family seek to discover the secrets that were hidden by their fathers.